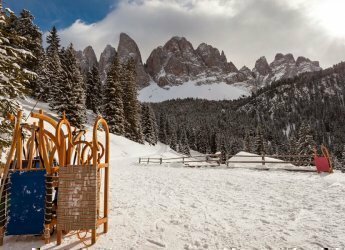 Even if you book a family ski holiday in South Tyrol on the farm Proihof in Funes, you do not need to hit the slopes every single day. 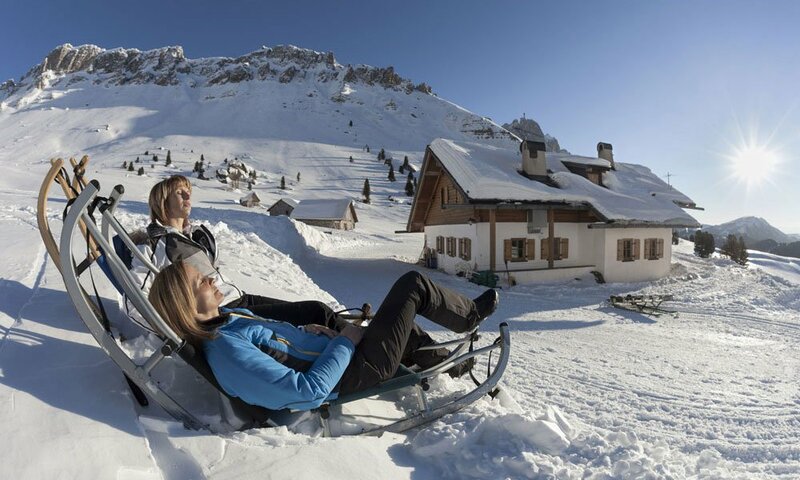 In the village and in the surroundings, there are also many other opportunities for active recreation. 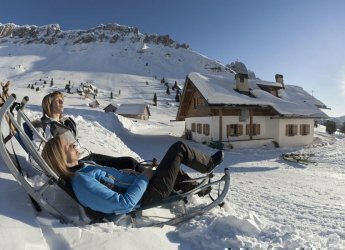 Thus, the region offers numerous facilities for tobogganing and sledding, so you can experience plenty of fun in the snow with your children. 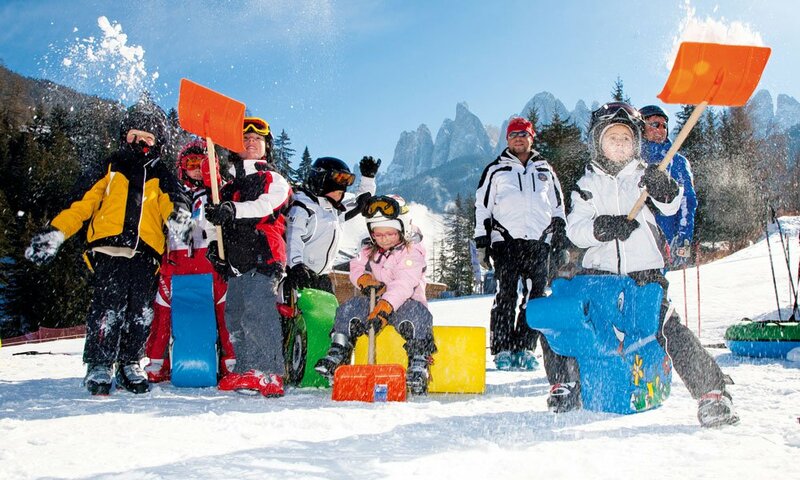 A popular leisure activity during a skiing holiday with children in the Dolomites is a visit to the ice rink for some ice skating. The necessary equipment can usually be rented on site. 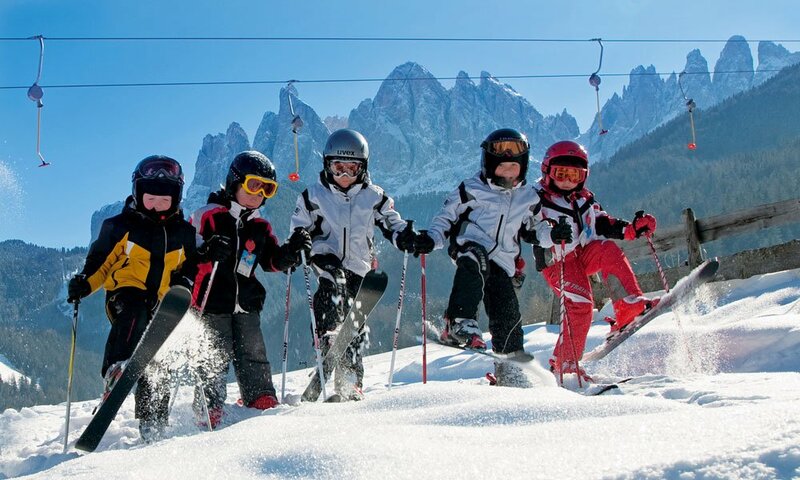 If during your ski holiday with children in the Dolomites you wish to refresh your own skiing skills or teach skiing to your children, you will find the best conditions at the ski lift Filler. With the DolomitMobilCard you can use the facility once a week for free. 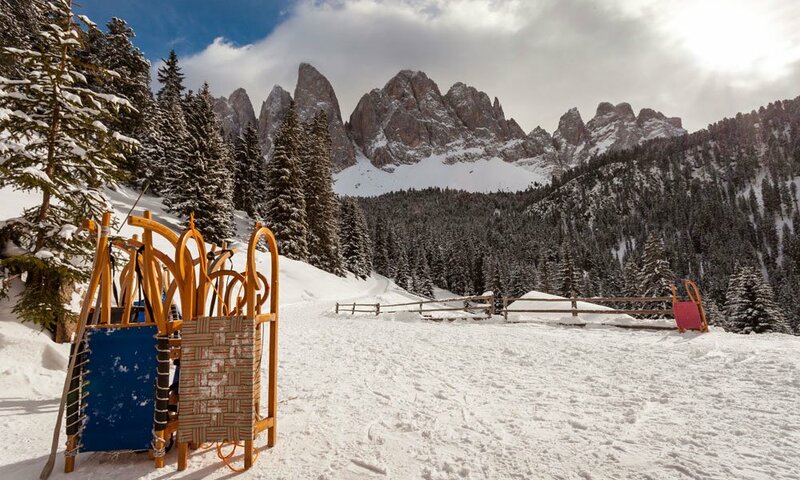 There, the children will playfully learn how to ski in the Snow Fun Park, which is located off the regular slopes. 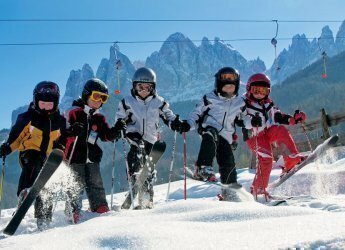 Group courses and individual lessons can be booked at the Ski School Funes and at the shop Sport Scharzer. In the unlikely event that during your family vacation in the Dolomites the sun decides to hide away, there are plenty of opportunities for a bad weather programme. 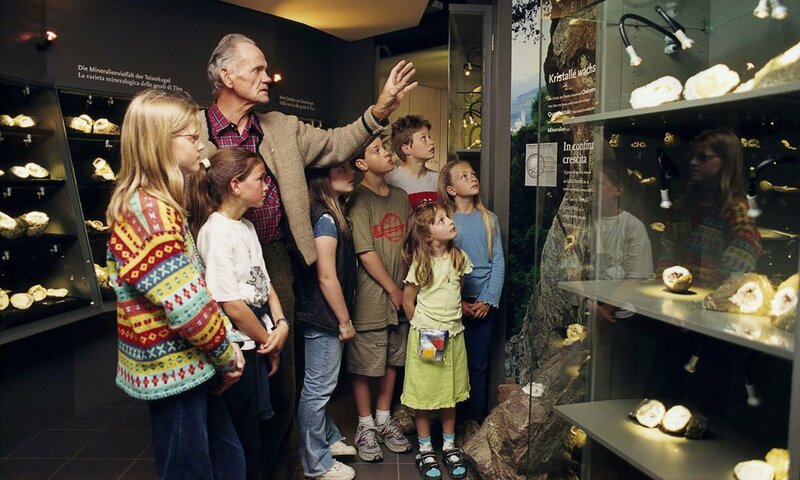 You can visit the bowling alley at the leisure centre in S. Pietro, the Acquarena pool complex in Bressanone, the Mineral Museum in Tiso or the Nature Park House Puez Odle. And for gourmets, the winemakers around Chiusa offer many possibilities for free wine tastings.